I loved the name of this strain so much I ordered a bag without even knowing what I was getting myself into. And oh boy, am I ever glad I did. This stuff is better tasting than an actual pie. And the THC level’s out of this world at 24%. Take a few hits of this stuff and you very well might end up eating an entire pie. I get wicked munchies from Zoom. Today’s menu special is our Zoom Pie Marijuana Strain Review. When I settle down on Friday night and I have a killer strain like Zoom Pie I make sure I load the house with beer and munchies. I know I will be couch locked and too high to open the door or even answer the phone. Also when I have a really great and powerful strain I like to use my vaporizer. Right now my 2 favorites are my DaVinci IQ and my Hero Go. You can read my DaVinci review here https://420.reviews/davinci-iq-vaporizer-review/ Or check out my Hero Go review here. 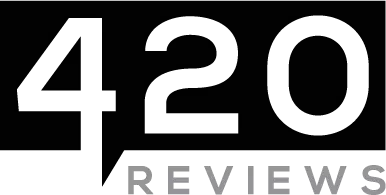 https://420.reviews/hero-go-vaporizer-review/. Either way you will want to get the most out of your stash. I like vaporizers because I get very little waste. And when the quality is as good as Zoom Pie I really want to make it last. If you’re looking for a full body high that packs a powerful punch you need look no further. Zoom is an indica dominant strain at 70%. When you combine that with an outrageous level of THC you are going to be feeling no pain. The only downside is you won’t be going anywhere or doing anything other than watching television for many hours. This is not a Monday morning strain. Well it certainly is not for most people who have jobs that require responsibilities. But hey that’s just my opinion. Im a school bus driver. And trust me, you don’t want to give me your kids and the keys to a school bus if I’ve been smoking Zoom Pie. Zoom Pie or as it’s sometimes called Zombie Pie is a hybrid of Blue Zombie and Cherry Pie. As a result, the flavor is great . It actually tastes like Cherry Pie. It gets it’s strange blue hue from the Zombie strain. Over all ,this is a true relaxation strain. It is fantastic for body pain which makes it a very popular medical strain. Zombies feel no pain and neither will you. So, at the end of the week go home,eat dinner and get ready to have some Zoom Pie for desert. You deserve it. Summary I loved the name of this strain so much I ordered a bag without even knowing what I was getting myself into. And oh boy, am I ever glad I did. This stuff is better tasting than an actual pie. And the THC level's out of this world at 24%. Take a few hits of this stuff and you very well might end up eating an entire pie. I get wicked munchies from Zoom. Today's menu special is our Zoom Pie Marijuana Strain Review.